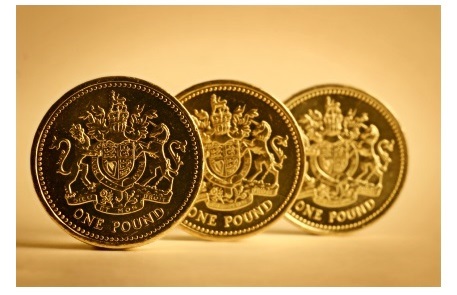 If there’s one thing that is going to interest any business or economy, it’s money, and introducing a new pound coin is always going to be a story that’s of great interest. Actually, the design of the new pound – based upon the old threepence pieces from before the 1970s – was revealed quite some time ago, but some of the finer details were only going to become evident nearer the time when the coin was released. Although the coin isn’t set to be circulated for a couple of years, the design is now confirmed, and what’s surprising is that a teenager has been instrumental in the coin’s creation. The distinctive thing about this pound is clearly the relationship that it has to the threepence piece of yesteryear, although today’s audience may relate it to a twenty pence coin more readily (at least from a visual sense). However, the initial news about the new pound didn’t reveal much about the “tails” side of the coin, and the chosen image to feature upon this face has been created by 15 year old David Pearce, a Walsall teenager who won a competition to work upon the redesigned pound. Aesthetically, the finished “tails” side still looks fairly classical, with four plants that signify the nations of the UK – the rose, the leek, the thistle and the shamrock – all being present and correct. A lot of research was required upon the part of young David Pearce to finalise the design, andhaving seen his creation beat over 6,000 other entries, it’s no wonder that the Chancellor himself rang up to congratulate the winner of the competition. Originally, the new pound was intended to combat counterfeiting, but it certainly looks fresh from a purely visual point of view too. What do you think? Of course, what’s great about this story is that it celebrates the success of a young person, and that’s something that we’re always keen to do. We’ve spoken to plenty of young audiences in the past about considering a career in contracting, as, although the advantages of age and experience carry weight, they are not essential to success. This story shows that, no matter what your age is, you can achieve big things. Of course, a bit of help doesn’t go amiss either, and the contractor accountants at ICS can certainly offer plenty of that. Call our friendly team on 0800 195 3750 to find out more, or talk to us on the chat box.